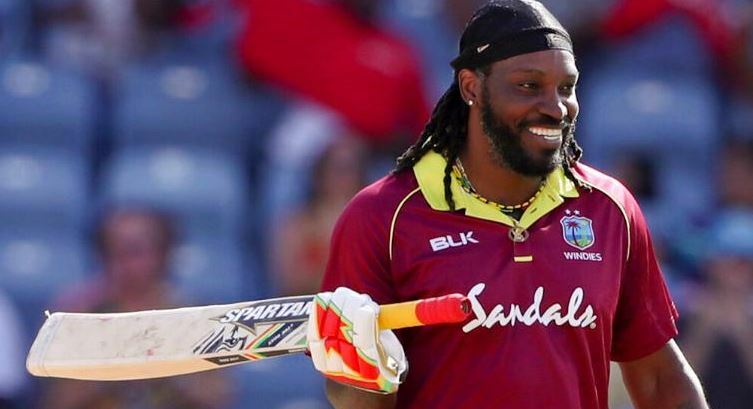 Chris Gayle is playing exceptionally well in the ODI series while facing England, and with the World Cup to follow, it’s highly unlikely that a lack of confidence is holding him back. However, his cricketing career, on an ODI level, is about to come to an end. The next few weeks will see Gayle participate in his last ODI when he visits the Caribbean, while retirement will come after the World Cup campaign comes to an end for West Indies. At the age of 39 and also on the brink of becoming the fourteenth man to score more than 10,000 runs in ODI’s, he finally decided to call it a day. Should he be selected for the World Cup, it will be his fifth tournament in his cricketing career. Thankfully, Gayle hopes that it’s not the end of his cricketing career. Apart from the several T20 commitments he made in the domestic leagues, he hasn’t ruled out appearing in the T20 World Cup which will take place in Australia during 2020. When Chris Gayle and the West Indies managed to defeat England in a recent Test series, Gayle stated that it was one of the best things that ever happened in the last decade. He will be remembered as one of the best cricket players that ever played the sport. After a devastating defeat in Barbados, the England cricket team only have a couple of days to turn things around before the second Test in Antigua. Before the match gets underway, let’s take a look at a few things that England need to fix in order to avoid another crushing defeat. One of the biggest talking points before the first Test was played was whether Sam Curran or Stuart Broad would be selected as the second seamer. The team decided to go with Curran’s all-around batting skills and swing bowling instead of the hit-the-deck style that Broad brings to the table. However, Curran was unfortunately unable to make a huge impression due to the new ball and struggled to get control. When you play in the West Indies, regardless of the pitch is fasts or slow, you always go with a tall, quick bowler. It was a bad call to go with Curran instead of Broad. The decision made by England to include two spinners was a big concern as the West Indies decided to select four quicks along with Roston Chase who is a part-time spinner. 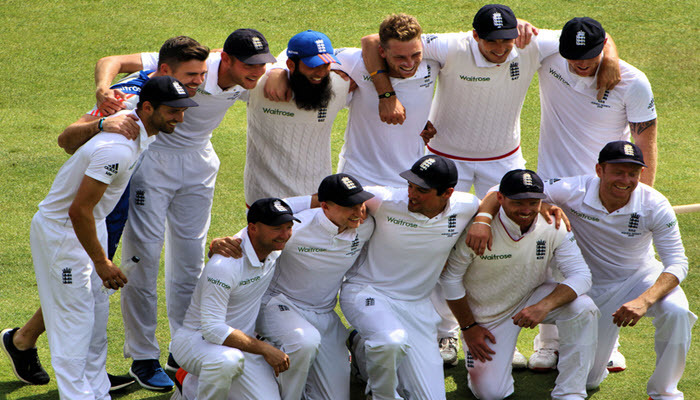 In Sri Lanka, England succeeded as they played Jack Leach, Adil Rashid, and Moeen Ali. This trio managed to complement each other thanks to their unique strengths. However, in Barbados, England decided to bench Leach which resulted in both Rashid and Moeen leaking runs. The deck in Antigua is not quick or solid, so two spinners might be the right call this time around, but in Barbados, it was definitely the wrong call. Although Rory Burns provided a stunning 84 runs during the second-innings, there were quite a few doubts when it came to Keaton Jennings who only scored 14 and 17 and was caught twice on edging drives. Even though Jennings managed to score two Test hundreds in Asia, he has quite a few difficulties when he faces pace bowlers. This is a weakness that West Indies will definitely exploit. The best option for England in Antigua is to replace him with Joe Denly, who is currently uncapped but does boast with loads of experience. He is an exceptional player at the moment and will do far better in terms of batting when compared to Jennings. Another major issue that can be rectified before playing in Antigua is the outcome that Joe Root provided at the Kensington Oval during their horrible defeat. Joe Root’s batting average managed to drop below 50 which is the first time since 2014 with scores of 22 and 4. A top order that is currently misfiring placed an increase of pressure on him. However, nothing will assist England more than Root reviving his touch when it comes to batting. He needs to play much better for England to have a chance of winning this time around. AB de Villiers, the former batsman for South Africa, will play a total of two games for Lahore Qalandars during the upcoming Pakistan Super League on 9 and 10 March 2019. De Villiers stated that he has a role to play when it comes to bringing international cricket back to Pakistan and will be considered one of the most highly regarded cricketers to participate in the country since the Lahore terror attack took place in March 2009. De Villiers, who managed to retire from international cricket following the end of the 2018 IPL, was picked in the draft by Lahore Qalandars in November and was initially signed on to participate in a total of seven league matches during the UAE leg of the cricket tournament. However, he said last week that he would only be available for two league matches, against Multan Sultans and Islamabad United, before he made his return home. He will only be available during the group stages of the tournament due to family commitments. “I am thrilled to announce that I will represent Qalandars on 9 and 10 March 2019, during the 2019 HBL PSL, de Villiers stated in a press release. “I’m looking forward to revisiting the extraordinary stadium in Gaddafi and will aim to play my part in assisting Qalandars to achieve something that they have been wanting since the tournament started in 2016. “I’m well aware that cricket in Pakistan is like a second religion and still remember the appreciation and support we received back in 2007. In addition, I feel that I have a huge role to play to help international cricket make a return to Pakistan. This is only a few of the motivating aspects I have to return to Lahore. De Villiers is regarded as one of the most highly profiled players from South Africa to participate in Pakistan, after David Miller, Imran Tahir, Morne Morkel, Hashim Amla, and Faf de Plessis toured the country with the renowned World XI side for a total of 3 T20 internationals during the 2017 Independence Cup in late September. Other cricket players from South Africa, including JP Duminy, Colin Ingram, and Rilee Rossouw played games in Pakistan during the PSL. The 2017 Independence Cup was the second international cricket tournament that occurred in Pakistan following Zimbabwe’s tour during 2015. Zimbabwe was the first country to tour Pakistan following the attack in 2009 when the Sri Lankan bus managed to suspend international cricket from the country. After the Independence Cup, a T20 international took place against Sri Lanka as well as three T20 internationals when the West Indies visited the country. Compiling a list of the best cricket players in the world is no easy task. However, once in a while, a player will surface that changes the game forever. This type of player performs beyond your wildest imagination and takes the game to a completely new level in the process. He manages to set new dimensions and standards for future generations to exceed. In the same breath, there’s also a handful of players that set records and benchmarks that will never be equalled. With that in mind, let’s take a look at the best cricket players of all time, whose legacy and accomplishments will be cherished forever. Donald Bradman, also referred to as The Don, is regarded as the best batsman to ever play the sport. In test cricket, he’s batting average was a mind-blowing 99.94 which is an achievement that cannot be matched by any major sport. Bradman is regarded as the epitome when it comes to excellency in cricket. With a 1349 Wisden rating, Bradman is the best test batsman that manages to outrank the number 2 player by a total of 349 points. Bradman has a total of 117 First Class centuries and 29 Test centuries to his name with a top score of 334. Tendulkar is considered the finest batsman of all time and is the highest run scorer when it comes to international cricket. He started playing at the age of 16 and is the only cricket player that has managed to score 100 centuries internationally. Tendulkar was also the first cricket player to reach 200 runs in an ODI and is known as the God of Cricket or the Master Blaster. Tendulkar boasts with 51 Test centuries and 49 ODI centuries. He managed to play in 463 ODI games and 200 Test matches during his career. As a former batsman for the West Indies, Richards is considered the greatest batsman in the world. He is the first player in the history of cricket to receive 20 awards for the Man of the Match and managed to play 121 Test matches and 187 ODI matches in his career. He managed to score 189 runs in Test Cricket and 291 runs in an ODI. Richards was also a magnificent bowler during his time a total of 118 wickets. Bevan is a former Australian cricket player who is considered one of the most consistent players when it comes to ODI formats. With a batting average of 53.58, he currently holds the world record for the best batting average in terms of ODI matches. He also formed part of the Australian teams that managed to win the World Cup. Renowned as the finisher, Michael played an important role to lead a team to victory. There is currently no other batsmen in the world that has the same consistency when it comes to batting and assisting his team to claim victory. The 2019 Cricket World Cup (or the ICC Cricket World Cup to use its full name) is still quite some way off. In fact, it isn’t scheduled to begin until May 2019. Already, though, qualifiers and preliminaries are deciding the teams which will face each other at the main event. Spread over 48 matches, the upcoming Cricket World Cup may not be the longest ever competition, but it is shaping up to be the most exciting in a long line of terrific tournaments. Over the years, the Cricket World Cup has provided a host of memorable finals. First held in England in 1975, the tournament grows more popular and more prestigious each event. England (generally regarded as a decent international cricket team) has never won the event but have failed three times in the finals. In terms of winners, Australia leads the way, having won the competition no less than five times since that first 1975 event. Most recently, they defeated their rivals New Zealand in 2015, a side they co-hosted the competition with. Australia hasn’t had it all their own way, though. In fact, Pakistan won the 1992 event, while prior to the Aussies winning their fifth title, India secured their second in 2011. Caribbean sides have also done well, bagging the first two titles in the very early years of the ICC Cricket World Cup. This brings us to the upcoming tournament, the final of which will be held at Lords, the home of English cricket. 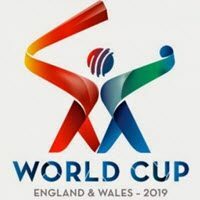 This will be the twelfth Cricket World Cup, and just ten teams (as opposed to the 14 of the previous two events) will go from a group stage to a semi-final and possibly a final on their travels to success. Is it too early to predict a winner? Not really. Lately, international cricket has become predictable. Australia and India are, of course, the favourites to win the next Cricket World Cup, with England (as ever) also a favourite. South Africa are an outsiders favourite to lift the trophy, but in reality, it is almost certainly going to be one of the “big three”, despite, the South Africans good run at the 2015 tournament. Pakistan, Zimbabwe, Bangladesh and New Zealand aren’t realistic options, but surprises do happen in sport, and any of those four teams could, in theory, hand out a surprise beating to one of the so-called big boys. There are still places up for grabs in the qualifiers, too. Sri Lanka, even the Netherlands (whom one would normally associate with cricket) are in the qualifiers, as are many other less established cricket teams. As we’ve said, none are likely to put up too much of a fight, but with the tournament reduced to 10 teams, you’re going to get plenty of excitement from the upcoming tournament. It is still a way off, but perhaps it is time you started paying attention to the Cricket World Cup today? CLINICAL. A word which, in the context closest to what I am pursuing, is defined by Oxford Dictionary as: very efficient and without feeling; coldly detached. A word, whose association in the cricketing sense, almost begins and ends with Australia when it comes to long-term positioning, also temporarily attributed to other teams who occasionally rise above feelings associated with mere mortals to register famous victories. A word hardly ever associated with India vs. Pakistan clashes, World Cup or otherwise, which are always high adrenalin, passionate, memorable moment generating affairs. And yet, even after churning my mind over with a plethora of adjectives to select one which would best capture the essence of the mauling India handed out to their neighbors at the Adelaide Oval in a marquee contest of the 2015 ICC World Cup, the winner is – clinical. In a match mostly bereft of the intensity and heated exchanges normally associated with Indo-Pakistan clashes, barring the sea of blue and green jerseys in the stands, MS Dhoni downed his counterpart Misbah-ul-Haq in a strategic battle which saw the Pakistanis crash to one of their biggest defeats on the World Cup stage. After numerous permutations and combinations with the playing XI in the run up to the tournament, an act which can be dubbed experimentation or red-herring strategy, depending on one’s appetite for conspiracy theories, Dhoni got together the perfect XI, given the resources. This batting line-up, which finally looks fearsome, at least on paper, should not be tampered with at all. Ambati Rayudu, for all his earnestness, is unfortunately not in the same league as the rest of the batsmen, and his eviction makes the line-up look formidable, though perhaps one batsman lesser than optimum. Ravichandran Ashwin, ignored for a majority of the tri-series, delivered one of his best spells in recent times overseas; the confidence with which he bowled both the regular offies as well as the variations, was not on show in recent times, and definitely hints at the possibility of Dhoni playing this one close to his chest. The seamers, sans Bhuvneshwar Kumar, were impressive. Ravindra Jadeja looks the weakest link in the bowling attack, and could make way for Akshar Patel, should India persist with two spinners, or Stuart Binny on pitches more conducive for the swinging ball. In what is unlikely to be a coincidence, two of India’s biggest firebrand batsmen, Virat Kohli and Shikhar Dhawan, albeit at opposite ends of the spectrum as far as form is concerned, displayed immense maturity in building their respective innings, in a complete departure from the recklessness both demonstrated during the recently concluded tri-series tournament in Australia. Kohli did have his momentary brain-freeze, when he almost replicated his dismissal off Nathan Lyon in the second innings of the first Test of the Border-Gavaskar 2001 series, at the same venue, while attempting a short-arm pull off Shahid Afridi. A better fielder than Yasir Shah might have drawn the curtains prematurely on a now-historic innings, but Kohli survived. Even more impeccable was Dhawan’s shot selection, and after surviving a trying spell from the seven-footer Mohammed Irfan, the southpaw settled down into his best innings on the Australian tour thus far. Dhawan looked more comfortable than Kohli at the crease, mixing caution with aggression, and was set for a big 100 before the misunderstanding cut short his innings. When Dhawan fell in the 30th over with the score reading 163, the stage looked set for an in-form Ajinkya Rahane to come in and consolidate the innings between overs 30-40, before Raina and Dhoni launched the final assault in the death overs. In a masterstroke reminiscent of the skipper promoting himself over Yuvraj Singh in the 2011 World Cup final, Raina came in ahead of Rahane, and played the best innings of the day, slamming 74 runs off just 56 balls to nitro-boost the Indian score, raising visions of a 320-330 target before his dismissal triggered a mini-collapse. Not many can match the strike-power of an in-form Raina, but taking the call despite a lackluster showing by the southpaw of late, was undoubtedly a masterstroke. Dhoni’s masterstroke #4: Tearaway bowling: a leaf out of Imran’s book? Exactly a week before the monumental clash, in the warm-up game against Australia, India opened its bowling with Stuart Binny and Bhuvneshwar Kumar, both bowling gentle seam-up deliveries in the 120-125kmph range which hardly posed a threat to the Aussie openers. Against Pakistan however, the bowlers seemed to be under specific instructions to bowl as quick as possible, not worrying too much about wides and no-balls, a theory made famous by the majestic former Pakistan skipper Imran Khan during the 1992 World Cup. Umesh Yadav opened the bowling with a wide which set the tone for the rest of the innings, which saw a total of 10 wides and a no-ball, a statistic which could have the experts wrinkling their noses at the indiscipline. From a cup-half-full viewpoint, the number, considered alongside the overall bowling display, was also an indicator of the quicks’ aggression – both Yadav and Mohammed Shami bowled regularly in the 145-150kmph range; even the relatively slower Mohit Sharma was touching 140kmph. There was no let up on the short stuff, seldom allowing the Pakistani batsmen to get on the front foot. Dhoni displayed no anguish and neither did he reprimand the bowlers when some of these deliveries sailed well clear of the batsmen to be called wides. The agenda was clear – bowl fast and intimidate the batsmen. With the quicks picking up 8 wickets between them, the move, in tow with other strategic masterstrokes, saw India canter home in a one-sided contest. Everyone loves an underdog. In an adulation which has transcended boundaries of sport, movies, reality entertainment shows and more, these David vs Goliath battles tug at our heartstrings like nothing else, with a generous dollop of initial sympathy, which gradually builds into an overwhelming empathy and culminates in excessively strong feelings of joy or sorrow, based on how the story ends up for the David in question. The greatest stage of the 50-over cricket game provides excellent scope for such skewed battles, with several instances of leviathan upsets by so-called minnows over their more fancied opponents. As the name suggests, a minnow often lures its unwitting prey into a trap, but the story I am about to recount here is one where a minnow develops shark-like features to batter its foe into submission before crunching it to bits. When next-door European neighbours England and Ireland clashed in Game 15 of the 2011 World Cup on 2nd March 2011, at the M. Chinnaswamy Stadium, Bengaluru, not many expected David to trump Goliath. Ireland had shown some promise with an impressive bowling display against higher-echelon minnows Bangladesh in their tournament opener, but England were coming off an outstanding display against favourites India, clearly in the ascendancy in the final stages of the match, despite chasing 338, before collapsing under the impact of a brilliant Zaheer Khan and a bit of hara-kiri to register an exciting tie. The Irishmen were not expected to trouble them beyond the temporary minnow moments of glory, customary of most non-embarrassing clashes featuring the lesser nations. England won the toss and elected to bat on a belter of a wicket, a move soon vindicated by the excellent opening partnership between previous match’s almost-hero Andrew Strauss and quintessential bad-boy Kevin Pieterson, both of whom fell on either side of the team hundred. Ireland’s joy was short lived, as Jonathan Trott and Ian Bell settled into a 167-run partnership, looking least bothered by whatever the bowlers dished out. In the process, ‘Test specialist’ Trott reached 1000 runs in One Day International (ODI) cricket in only his 21st innings, equalling the record set by famed ODI specialists, Viv Richards and this inning’s ancestor Pieterson. Bell provided solid support as both men hurtled towards their respective hundreds, and a 350-400 looked very much on the cards. Both Trott and Bell lost their wickets in a display of utter disdain for the bowling, the beneficiary on both occasions being soon-to-be second lead hero John Mooney. This was followed by a hole-in-the-middle implosion with Matt Prior, Paul Collingwood, Michael Yardy and Tim Bresnan departing in quick succession, without bothering the score-keepers too much. In a rather rare phenomenon in cricket, England’s death batting woes returned to haunt them (the final five overs yielded just 33 runs) the second time in two games, and Mooney finished with a career-best 4 for 63. England’s 327, though about 40-50 runs short of what they looked capable of achieving during the Trott-Bell partnership, still looked a mountain too high for Ireland to surpass. In response, Ireland lost opening batman William Porterfield first ball to a nothing delivery from James Anderson. What followed was a struggle, with star batsman Ed Joyce trudging along at a strike rate of 50, and Paul Stirling chancing his arm with moderate success, with a bit of help from the sloppy Prior. Graeme Swann came on to bowl in the first Powerplay, and gradually weaved his magic on the game, accounting for three quick wickets in the middle order. With Stirling falling to the sword earlier, half of Ireland’s side was back in the pavilion with the scoreboard reading 111. The match had, till then, dedicatedly stuck to the standard minnow script – chasing a huge target, the underdogs, after suffering an early jolt, stick manfully to their task, eliciting a few words of praise, before being slowly outgunned and eventually obliterated. However, a purple-haired marauder decided to throw a spanner in the works and engineer a slightly different script. “Sometimes Kevin gives you the impression that he is 100% determined not to just give it away. On this occasion his was just a carefree, relaxed attitude.” These words by Andrew White, Ireland’s most capped player who was dropped after the loss against Bangladesh, described Kevin O’Brien’s frame of mind when he went out to bat. Incidentally, they quite aptly captured what was to follow in the middle as well. O’Brien began with a couple of sixes against England’s most successful bowler thus far, Swann, before cutting loose with the calmness of a highly trained sniper against the quicks, during the batting powerplay. The clean hitting was reminiscent of, but with superior technique, what an unknown Kieron Pollard displayed, playing for Trinidad & Tobago against New South Wales, in the group encounter of the inaugural edition of the Champions League T20 tournament. O’Brien waltzed to the quickest century in World Cup history, off just 50 balls, and the match had turned on its head, with Ireland requiring 65 runs off the final ten overs for a memorable victory. Almost as significant was the contribution of O’Brien’s unsung mate in the 162-run 6th wicket partnership, Alex Cusack, whose 58-ball 47 paled before O’Brien’s in statistical terms, but the solidity of whom allowed the purple-haired Irishman to come out all guns blazing, while allowing him to catch his breath occasionally with a few magnificent strikes off his own. Cusack’s final act of the day was perhaps his most heroic as well. With nine overs remaining and 56 runs yet to be knocked off, Cusack sacrificed his wicket after a misunderstanding over a non-existing single. The soldier had laid down his life so that his king (for that day at least) could continue to wage battle, and win the all-important war. The dismissal brought out Ireland’s bowling champion of the day, Mooney, whose support role with the bat was to provide tremendous relief to a tiring O’Brien. Mooney was to the Irish chase, in the finishing moments, a shot of adrenalin into a well-worked but faltering heart. He hogged the strike, and combined the optimum mix of defence and attack to propel the team along towards a now very gettable target. Like most great matches, this one was not bereft of last minute drama. With 12 runs required off the final two overs, O’Brien ran himself out, ending one of the most stunning innings in recent memory, the fruitfulness of which yet remained to be ascertained. Mooney’s words of reassurance were not spoken lightly. New man Trent Johnston blazed the first delivery he received, a gentle full toss from Stuart Broad, to the extra-cover fence, and sensible batting off the remaining deliveries of the penultimate over saw Ireland require just 3 runs off the final 6 deliveries. Leaving no space for last moment histrionics, Mooney clipped the first ball of the final over, bowled by Anderson, to the mid-wicket boundary for his country’s greatest victory ever. As the man whipped off his helmet and emanated a warrior cry, the message resounded around the world: ‘Goliath was slain yet again; long live David’. A few days back, after witnessing Tom Cruise die and come to life approximately a zillion times in the 2014 sci-fi thriller, Edge of Tomorrow, on DVD, my idiot box redirected me to one of the countless re-runs of the history of the World Cup (WC) on a popular sports channel, which was broadcasting Pakistan’s mercurial triumph in the 1992 WC. With my brain still tuned in to the time-warp, our evergreen loverboy-turned-action-hero found himself in; I could not help but wonder about some of the coincidences, some actual, some potential, between the events playing out in that game-changing edition of the tournament, and the one we are about to immerse ourselves in, about a week from now. While there may not be any threat from rampaging aliens in the near future (in spite of what conspiracy theorists claim), we do stand the risk of a 23-year old de-ja-vu, which on second thought, may not be the worst thing to happen, given the wonderful entertainment which was on show during that unforgettable event. Before I hear the very deserving snickers and snorts of contempt, let me issue the disclaimer that, being a fan of Ravi Shastri’s commentary since my childhood days, and more recently, MS Dhoni’s customary ‘Well, obviously’,whenever the microphone is pointed in his direction, I have no shame in stating the obvious, which is, the venue itself. Only for the second time in the history of the most coveted limited overs tournament in cricket will the action play out on the popular cricketing shores Down Under, a privilege mostly hogged by England and the Indian sub-continent. For everyone cricket-aware back in 1992, the literal translation of deja vu (‘already seen’ in French, for the uninitiated) may hold more water in this case than the thrilling associations made by Hollywood blockbusters and bestsellers over the years, though the excitement factor could be just as high, if not more. Expectedly, the smattering of day-night matches in the 1992 edition has been revised into an almost mirror-image as far as day matches are concerned (10 D/N matches in 1992 v/s 12 D matches in 2015), to satisfy commercial interests as well as current viewer synchronization, and I will miss the groggy-eyed mornings when a 10-year old explored a domain, highly attractive but relatively unknown, in a manner not too different from a teenager walking down the mysterious but alluring corridor of their first love. My movie hangover is back with a vengeance, because the Face-Off I refer to is not what is commonly associated with sporting events, but the 1997 Nicholas Cage-John Travolta starrer (Bollywood fans may associate better with the 2001 Amitabh Bachchan-Manoj Bajpai thriller Aks). Bear with me as I attempt to correlate. The Kiwis’ amazing flight in the 1992 WC is well documented, but a slightly lesser known fact is that they were whitewashed by the Englishmen, at home, in both Tests and ODIs, just days before the tournament kick-started. In an era where bilateral ODI series were limited, this must have been devastating for New Zealand, even as England glided into the event as a well-oiled machine psyched for success. Back in the present, on current form, or the lack of it, England stake claim to the ‘least favourites’ crown among the Big 8; India’s recent surge poses a genuine threat, but England’s consistency over the past year gives them the edge. New Zealand, on the other hand, are coming off one of their most successful years in international cricket, across all formats, and given the red-hot form they currently find themselves in, are one of the most exciting teams to watch out for in this edition. In other words, both these teams are shrouded in the pre-’92 WC avatar of the other. If this Face-Off lasts the distance, the Kiwis would finally break into an elusive WC final, and England will literally shock the world with their innovativeness. Majestic captains. Most WCs had one, incidentally from the winning team – Clive Lloyd (1975 and 1979), Kapil Dev (1983), Allan Border (1987), Arjuna Ranatunga (1996), Steve Waugh (1999) and MS Dhoni (2011). (Ricky Ponting’s credits get shared with the majestic team he had at his disposal during the 2003 and 2007 editions). The 1992 tournament, however, had two – Martin Crowe the Innovator and Imran Khan the Street Fighter. Both carried their respective teams into the business end of the tournament, albeit with varying strategies, before meeting in an epic ‘Rumble in Auckland’ semi-final, where the Street Fighter downed an injured Innovator before ascending to the throne. New Zealand look certain to tick that box yet again in 2015. After a few tournaments under solid but sedate captains like Stephen Fleming and Daniel Vettori, the Kiwis finally have an aggressive skipper in Brendon McCullum. He commands the team’s respect, and given the stunning turnaround the Kiwis are displaying under him, the man from Otago is, in my opinion, the strongest candidate for the Majestic Captain crown for this edition. In addition, my gut feeling says that, in a parallel with 1992, this edition will see not one, but two great captains display their wares. Craning my neck a little, if not sticking it out entirely, I pick AB de Villiers to be the second captain – the Immovable Object which meets the Unstoppable Force (The Dark Knight,anyone? ), as far as captaincy battles go. In his first opportunity to lead the Proteas at the highest stage, the near-superhuman Pretorian should be able to translate some of his unconventional batting skills into innovative captaincy, which might see South Africa finally ridding itself of the Albatross it has been carrying around for years. Like any researcher worth his salt, I Googled ‘similarities between the 1992 and 2015 World Cup’ before embarking on this article, and found the first few pages dedicated entirely to this query, but in Pakistan’s context. Article after article, with a strong hint of ‘sharing and caring’, all of which focused on similarities between the Pakistan squad of 1992 and 2015, kept popping up. While I leave considerations of authenticity of these articles on the wise shoulders of curious readers, I would have to admit that a couple of coincidences were indeed interesting. The obvious one is, of course, the fact that while Imran, Pakistan’s enigmatic skipper in 1992, was touching 40, the country’s current captain Misbah-ul-Haq already cleared that milestone last year; an achievement in itself, given the current clamour for exuberance of youth over steadfastness of experience. Borrowing from James Bond’s vocabulary, if that’s happenstance, both men hailing from Mianwali make it a coincidence. Thankfully, an ‘enemy-action’ scenario need not arise, with their captaincy styles as different as chalk and cheese. While it looks improbable that Misbah can inspire his men to motivational levels in the vicinity of those achieved by Imran, the inherently mercurial Pakistan team can never be written off. If only the 1992 WC can repeat itself…. I have steered clear of parallels which have surfaced in every WC post 1992 – like Australia and South Africa almost always starting as favourites, or the latter being unable to realize the full potential of exceptionally talented squads due to a heady cocktail of choking, mind-freeze and just plain bad luck, or the customary minnow upset. Even with these usual suspects knocked off, the 2015 tournament bears more than a passing resemblance to the pioneering 1992 edition, which, according to the Guardian, in an opinion I strongly endorse, was the best WC of them all, barring a rainy hiccup. With a sequel to one of my all-time favourite movies set to release shortly after WC 2015, I cannot resist interjecting a ludicrous tribute to conclude – had the beautiful crystal 1992 trophy, while disappearing from public view aloft the broad shoulders of Imran, mouthed incoherently, “I’ll be bakk(sic)”, (a phrase first used by Arnold Schwarzenegger’s villainous Terminator in the franchise’s first instalment in 1984, and deployed subsequently in all sequels and several other movies of the Austrian-born hulk), then WC 2015 is undoubtedly the best stage to fulfil that promise, and if realized, we are definitely going to be in for a helluva lot of entertainment. Just a few days back, I had endorsed the strategy of playing just four specialist bowlers in a bid to bolster Indian cricket’s original strength, i.e. batting. Today, after yet another embarrassing defeat against England in the Tri-series, which kept India winless and knocked them out of the tournament, skipper MS Dhoni echoed these very sentiments at the post-match press conference. (ESPNCricinfo: Dhoni hints at four-bowler strategy for World Cup). The idea, while irrelevant as far as the Tri-series tournament is concerned, may still fit into the category of ‘better late than never’ in the context of the all important World Cup, and comes with its own share of challenges. Dhoni has almost quoted me by appointing Stuart Binny as the unofficial replacement for the struggling Bhuvneshwar Kumar, and with Ishant Sharma’s knee troubles, Mohammed Shami and Umesh Yadav appear to be frontline choices for partnering Binny. I would pick Akshar Patel over Ravindra Jadeja as the single specialist spinner in the team, but knowing Dhoni’s fascination for Sir, we’ll just have to wait and watch how that selection pans out. Which brings me back to the point I highlighted in my previous post – we can talk all we want about strengthening our batting, but the 15-man squad has very little additional batting firepower. Only if ALL the batsmen are played do we have seven specialist batsmen, with Binny and Akshar at Nos. 8 and 9 respectively. We are definitely a batsman short in the 15, but there might yet be a backdoor solution to this epoch problem. With several of our bowlers dropping like nine-pins due to injury and related woes, it presents an opportunity to set right the mistake of taking our batting for granted while picking the 15-man probables. With a four-specialist bowler strategy more or less confirmed, the excess bowling baggage we are carrying can be neatly trimmed, citing injury concerns, and a batsman/all-rounder brought on board in lieu. With the need of beefing up our part-timer bowling strength at an all-time high, the buck, in my opinion, once again stops at Yuvraj Singh, whose big-match temperament and recent form with bat and ball make him a potentially indispensable asset in the middle order, who can also ‘pie-chuck’ a significant portion of the fifth-bowler duties quite effectively. Since time immemorial (or at least since I became cricket aware), the Indian batting line-up has been strong, at least on paper (even when we crumbled in reality). That sacrosanct awareness has been disturbed during this Tri-series, and the single addition of the lanky Punjabi south-paw will restore the on-paper aspect to a large extent, irrespective of how he performs. If miraculously included, Yuvraj should replace Ambati Rayudu in the XI, and not the current top-of-mind villain , Shikhar Dhawan. Rayudu has displayed tremendous heart in attempting his best while he has been regularly fed to the wolves (Read, pushed into an unfamiliar batting position in seamer-friendly conditions against marauding pacers, to protect a certain jewel in our crown), but his best is simply not good enough, at this level, in these conditions. Even if he came off on a couple of occasions, he is the least likely to strike fear into the hearts of the opposition, something India desperately need to after the recent embarrassments. For all the solidity Ajinkya Rahane has displayed at the top, I would still prefer him in the middle order, with Shikhar Dhawan and Rohit Sharma opening. Dhawan’s 30-odd at Perth today raises hopes that he is coming into some semblance of form at the right time, and he is the closest we have to Virendar Sehwag at the top, so he stays, for me. Virat Kohli must come in at No.3, irrespective of when a wicket falls; ‘protecting’ our best batsman is sending out quite a wrong message, and Kohli must get back to where he made most of his runs. Yuvraj, Rahane and Suresh Raina at 4, 5 and 6 form a rock-solid middle-order, the kind that could send a shiver down the spine of bowlers manning the middle overs. Dhoni at 7, Binny at 8 and one of our spinners at 9, makes it quite a formidable batting line-up, on the famous paper of course. To conclude by quoting Derozio, our ‘day of glory past’ is just an SOS away..but is anyone dialing? Ending weeks of speculation, the selectors yesterday announced the 15-man Indian squad for the 2015 World Cup. While the possible permutations and combinations were like manna from heaven for cricket columnists and bloggers like yours truly, the final squad had ‘obvious’ written all over it. Well, almost. The batting line-up, as expected, was not tampered with at all. Speculations were rife about Murali Vijay forcing his way into the team on the back of fabulous Test-form, but the powers-that-be ultimately decided not to consider form in one format of the game for entry into another. Fair enough, but this begs the question as to why he was included in the 30 in the first place? If established ODI credentials have more weightage than current form, then Yuvraj Singh might have been a much better option in the original 30. The inclusion was allegedly made to have a back-up opening option, if required. Between then and now, the need for a back-up opener has been highlighted several times, with Shikhar Dhawan looking woefully out of place on Australian pitches. On the other hand, Vijay has hardly placed a foot wrong, defending stodgily and attacking as and when required, to make a statement of reliability at the top. Therefore, irrespective of this being a viable selection or not, Vijay has reason to be disappointed. The continued faith in Ravindra Jadeja and Shikhar Dhawan, the latter not exactly the apple of the eye of a certain Virat Kohli, indicates that Dhoni has had a significant influence on team selection, in what could possibly be the enigmatic captain’s last stand in even the shorter format of the game. With Jadeja not 100% fit, and Yuvraj in red-hot form in domestic cricket, there was a case for a from-the-heart decision which could have even found favor with the head, but yet again, the non-inclusion has Dhoni’s signature scrawled all over it. While it’s too early to comment on the correctness of the decision, it would be unforgivable if one the three spinners, a number which I feel is a luxury given that not more than one is expected to make it to the playing XI, ends up a tourist on the Australian safari. In that very likely scenario, not having a usable option would be a cardinal sin. Dhoni’s faith in himself, and the corresponding faith of selectors in him, is also underlined by the fact that the squad does not have a reserve wicket-keeper, with Rayudu filling in as the pseudo glovesman. While I was perfectly happy with a similar scenario four years ago, an older and more injury-prone Dhoni should probably have had a Sanju Samson or Wriddhiman Saha as the back-up keeper. Dhoni has always made bold decisions, and this one will rank right up there; whether he is lauded or flayed for it, only time will tell.As with the batsmen, the selectors have played safe when picking bowlers. Both Jadeja and Ashwin have had a horrendous year as far as ODIs are concerned, even in home conditions, but including them is of course, a safe choice. Akshar deserves a spot; an extraordinary 2014 across the shorter and shortest formats of the game makes him the number 1 ODI spinner in the country, on current form, and I would back him to be a consistent inclusion in the final XI, also taking into account his clean hitting skills down the order. I keep coming back to the unnecessary three-spinner luxury; Akshar on merit, and one out of Ashwin or Jadeja, or reputation, may have been the better choice. A man largely overlooked, but in my opinion, the unluckiest among the 15 who were shown the door, is Dhawal Kulkarni. The Mumbaikar was exceptional in the Australian Quadrangular ODI series between the ODI teams of India, Australia and South Africa, emerging as the top wicket-taker, and continued in the same vein in ensuing domestic List A competitions, including the experimental Sri Lanka series, India’s final ODI engagement before the WC selection. Finally the shocker – Stuart Binny. With all due respect to his alleged talent and Herculean but unseen (except perhaps by Bangladesh on an international platform) abilities, Binny has done little of note this season, especially on the List A scene. Even in England, aided by conditions perfectly suited for his dibbly dobblers, Binny was mediocre, putting it mildly. Perhaps he could spring a surprise by ending up as India’s MVP of the tournament, and then we could go crazy over the absolutely inspired foresight, but till that glorious moment arrives, shocker is the best I can do.